In November of 2009-----YES 2009, can you believe that? ?----a group of people from many different places decided to quit smoking and somehow found their way here---to the EX Community!!! We are the November to Remember group. maynell debi12 molzep debbiem2 done .....and me-----Sootie!!!! Did I forget anyone? I want to wish you all a great November as we move into our nine year milestones. Many of you have become friends and I always look forward to your blogs and messages. Some of you I have not heard from lately and hope you are doing well. There are other November quitters on here also----2012 quitters-Jordan.Quit.11-1-12 joyeuxencore_11-5-12 Danno_11-10-12-----they will be quit for SIX years this November. WHO ELSE??? I don't have a "computer program" for this stuff so I just go by friends and people I can remember. We’d like to hear from ANYONE who is a November quitter…..come on the blog and shout out your year. I am sure we will also have some 2018 November quitters…..welcome to our group. Be serious about your quit because the November to Remember quitters do not mess around ! So---let’s celebrate all month long….ALL OF US----from January quitters to December-----whether you are quit for one day or one year or five or ten-------CELEBRATE-------you are an EX! Whoo hoo Sootie hip hip hooray to you and too everyone, to each of us living a life of Freedom from the clutches of the nicotine poison ,YAY and YAY again for Smokefree living and yay for each and every Day WON whether it's day ONE or ONE thousand and one it really doesn't matter where we are in our quits as long as we are on this stupendous quit journey together, sorry Sootie Oops I didn't mean to blabber on. Congratulations to all you November to remember quitters! Big Congrats to All November quitters, and Sootie, a huge thank you for being such a good example and sticking around to support us all ! Congrats to you on 9 awesome years of Freedom! That's great that you remember all these members! Boy what a beautiful quilt of quits that has been made throughout the years! Bonnie11.3.2009 maynell debi12 molzep debbiem2 done Jordan.Quit.11-1-12 joyeuxencore_11-5-12 Danno_11-10-12 jojo29 autumnwoman I look forward to celebrating the various November Quitters throughout the month! Wow Sootie! I was shocked by all the November Quitters with Nov 1 as their date! polly2, Spooky, tatumferguson, jojo29, Jordan.Quit.11-1-12, blueangel2, ldny, dvarnell0210, itsginas, mohamed11, Nhandi.isfree11.1.16, yaelpeer, case62179, csdrogin, kate_nicole14, mzctgerman, nitehawk39 and TheManWhoThoughtHeWasAPainting all of celebrate today as their quit days through the years! Hopefully they'll check out your post every year! I hope so Mark...I'd like to add some new people to our November remembrances. I know that every year since 2010....all of the 2009 people HAVE checked in even though they no longer blog here regularly. Done was the first, so I hope the rest will also be here. Except for Jordan.Quit.11-1-12 and jojo29 I don't know those other November quitters so I hope they will stop in and tell us about their quits. The more the merrier here at EX. My actual 9 year anniversary will be November 15th. Thanks for looking up all of these people! come for yearly celebrations on the Daily Celebrations. Stay tuned. Kettie sophia-22 petet November 3rd! heidiv07 , joyeuxencore_11-5-12 , cprov , esmagalhaes , GrannyKalima , HoytGirl , Mac2222 and Mikeluoma November 5th! MNJen , freedom-38 , amjackson , brandystrecker , dreamangel0306 , slsig1 , TheWizardOfOz and Violet_Quit November 6th! Rox.j1962 and mv3024 November 7th! November Quitters is also a list of people who followed/contributed to the November Quitters group before we moved so some of them have November quit dates even though they don't show on the community as they may not have yet logged in. tresa, bdawg568 and CTMeekins November 9th. All4Railroads, Danno_11-10-12, Kathy187, iaviksfan,Ms.J_11-10-2013, Hamza-Zafar November 10th. autumnwoman, AnotherAlan, Jim31 and Phil25 November 11th. Denise3 , bjspears , br1ansh1m, Deb-EX, gottastop2, LoraB1 and OliveKitty November 12th. ArmyLifer98, littleangels93 and makeitbygrace233 November 13th. lifeisaspoon, Lisa777, adamsbd1983, ckauffman17, DaveT383, Elle047 Kgreenough and Tomadams November 14th. molzep , gstilton , hdinatale, Jill2065, Junior7 , Pholland10 and thaney November 20th. And that concludes the month of November! Can't wait to see next year Sootie, the 30 days of November in a NOvember to Remember! It feels good to know I have come this far, but I still struggle! I know I've come too far to turn back! Happy Anniversary to us all! Congratulations Sootie, and all your longtime partners of November quitters! And thank you for staying here to help so many other generations of quitters, your work is so important, it is hard to even quantify! I would just say, when someone, a newbie, feels in trouble, on the edge of making a life altering decision, early in the quit, and one of you, longtime elders, is nearby to hold a light, and say "here, here is the right path for you", you just saved another life! DONE here checking in Sootie nine years and still NOPE …. Hi DONE!!!!!! Soooo glad that you jumped in------LOVE hearing from you every year during our anniversary month. Be Well. Happy YEARS OF QUITTING you November Quitters! Miss you on here. Nice to see you, Done! Thanks for sharing this amazing list with us, Sootie and CONGRATULATIONS to each one of you November Quitters. Congrats on 9 years Sootie and to all the November quitters! You guys ROCK! You didn't know it then, but look at you now!!!!!!!!!!!!!!!!!!!!!!!!!! MAN I'M SO GLAD I QUIT!!!!!!!!!!!!!!!!!! Unfortunately, Buttkicker relapsed when her sister died. I thought she had quit again.....but lost track of her. Good to see YOU on here my dear friend!!! Hey pir8fan! Good to see you my friend! I hope you are well and happy. I miss this site but thank God for it everyday! So happy you stopped in to celebrate our 9th!!!! Great to know you are doing well.....we miss you. Congratulations to each and everyone who has remained smoke-free! 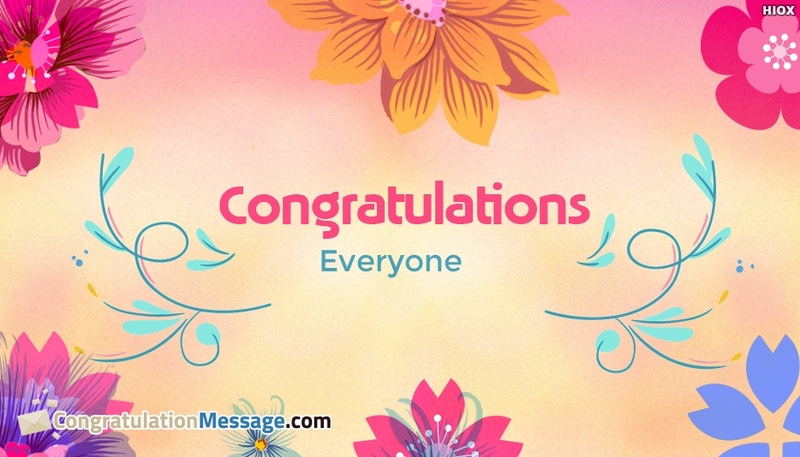 Congratulations Sootie and Thanks for giving everyone a shout-out! I bow in the presence of GREATNESS, GENEROSITY, RESPECT & KINDNESS. Thank you for all that you have done and continue to do! Is it November to Remember again? I can hardly believe it has been 9 years since I first joined and became one of the members of our great group of quitters! Who knew quitting meant connecting with so many great people and having fun as we quit together. I found friendship and encouragement and of course the laughs!! I found my way to stop smoking once and for all using this website and my determination and mindset. I am so grateful I made the decision to quit! I will always think of each of you in our group, as well all the other quitters I met while I spent so much time here. It was wonderful to get the chance to meet Maynell as she ventured through NC on a trip. Such a nice person who encouraged me so many times to hang in there and kick sickorettes to the curb!! Thank you again to this website, all the "November to Remember Gang" and a big shout out to all the members who have been here over the years continuing to be encouraging and always helping others!! You guys are heros!! 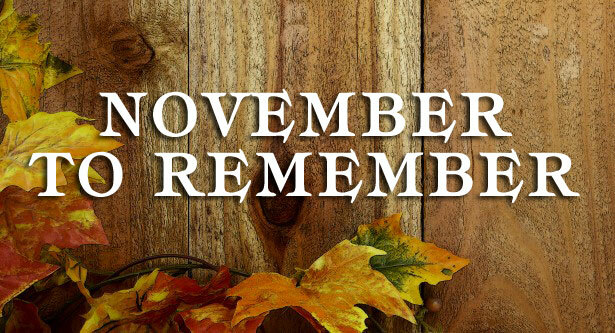 A BIG congratulations to each of us in our NOvember to Remember Gang!!! A BIG congratulations to each and every quitter! Day 1 or day 5000, you can do it!! Thank you Sootie for this post! Deb!!! So GREAT to see you! I am so glad you got to meet maynell. So GLAD you remembered to stop in to say hello!!! Congrats Debi12! So great to see you! You go, Debi! Great post! We'll have to do something special for our 10th! Debi12 Debi!!!!!! So glad you popped in. How's the painting going? Kudos on your 9 years in a couple of weeks! Don't be a stranger! to I have made it to 200 days !!!! to a 9 year quit and what you wrote above. Read, newbies - this can be you too! Sootie - Congrats to you and all of the other November quitters! Thank goodness you came here and stayed and were here in June of 2010 when I arrived!! Great blog! Hey Strudel! Love seeing you here. Hope you are well. maynell WOW congratulations on 9 years! That is seriously impressive as are ALL of the November to Remember group! Nice to meet you. My calendar chimed this morning, reminding me of your special day. I've been waiting all day to visit you, to say THANK YOU for being such a guiding force in my quit! You were there for me when I quit nearly 5 years ago, so it's an honor to be here to celebrate YOU and your 9th. Congratulations, my friend! Thank you Storm!! So GREAT to see you on this site again. Good to know you are well and enjoying the freedom we have from NO SMOKING! Hi Everyone! Thanks for remembering me. I'm still a happy ex! I am THRILLED that you joined us to celebrate this month! Glad to know you are still a HAPPY EX after nine years of freedom..........on to number TEN!!!! Oh Sootie, I am so sorry I missed your celebration, 9 years, wow!!! It is so great to think I made it this far. Just remember along with the celebration of years as an EX it is still a day by day struggle at times. But, I just take it one day at a time. And with the help of members here I know I CAN DO IT! Thanks all and have a great Holiday season. Great to hear from you, Larry! Congratulations and Happy Holidays to you as well.